PITTSBURGH, PA, February 27, 2019–Luminari, a Pittsburgh-based, nonprofit organization celebrating its tenth year, is pleased to announce the winners of its eighth annual merit scholarship essay contest-the Luminari Award and the Luminari ESL Award. Both of these prestigious awards focus on students’ perspectives of diplomacy. The Luminari Award contest is open to students in schools throughout our region while the Luminari ESL Award is introduced to students by teachers of the English as a second language program of the Allegheny Intermediate Unit. 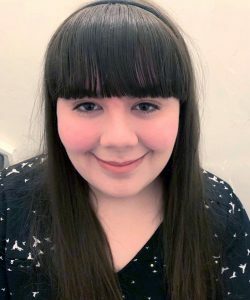 The 2019 Luminari Award scholar is Cara Leonardi, a 9th grader at Moon Area High School. 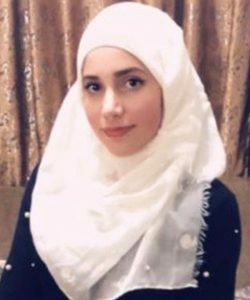 The 2019 Luminari ESL Award scholar is Hend Hamada, a 10th grade ESL student at Fox Chapel Area High School. Both students will receive an all-expenses paid admission to I Want to be an Ambassador! camp which takes place in Pittsburgh and Washington, D.C. from June 11-19, 2019.